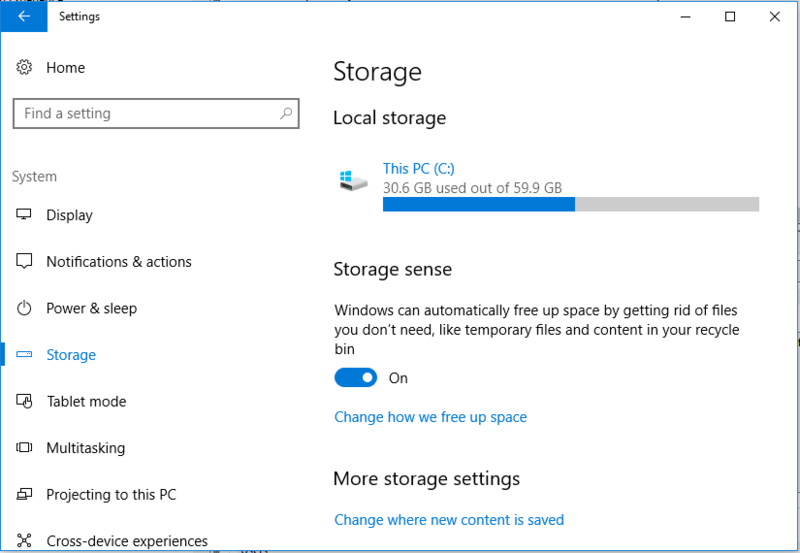 Beginning from Windows 10 Creators Update (Version 1703), or for Windows Insiders who installed preview builds, Windows 10 Build 15014, Microsoft has added a feature called Storage Sense. Storage Sense automatically free up disk space by getting rid of the files that you don’t need. 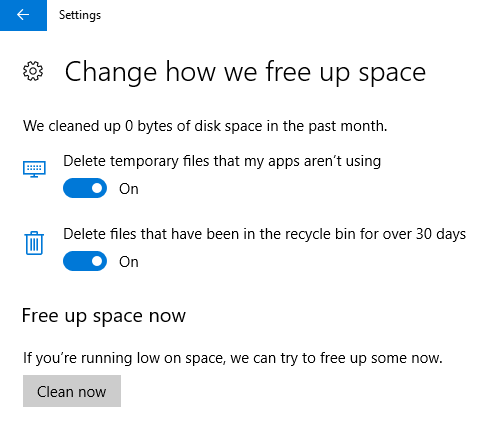 Currently, Storage Sense will only cleanup unused temporary files and items that have been in the Recycle Bin for 30 days or longer, but more file types may be supported to auto disk cleanup in the future. Under “Storage sense”, slide the toggle to On. If you can’t wait for the system to free up your disk space, click or tap on the Clean now button to free up space now. Automatically clean up the disk space is useful is you’re using low capacity SSD or you always leave Recycle Bin filled up to brim, then auto cleanup can get rid of those deleted files after a month.